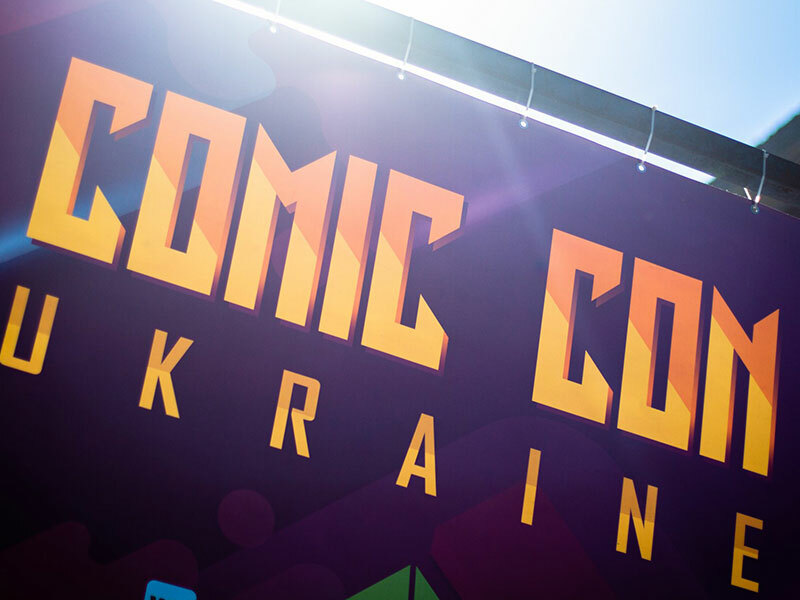 The latest stop on the Mahabharata: Gods & Heroes tour was Kyiv: the Ukrainian capital played host to the famous exhibition of storybook heroes and cosplay. 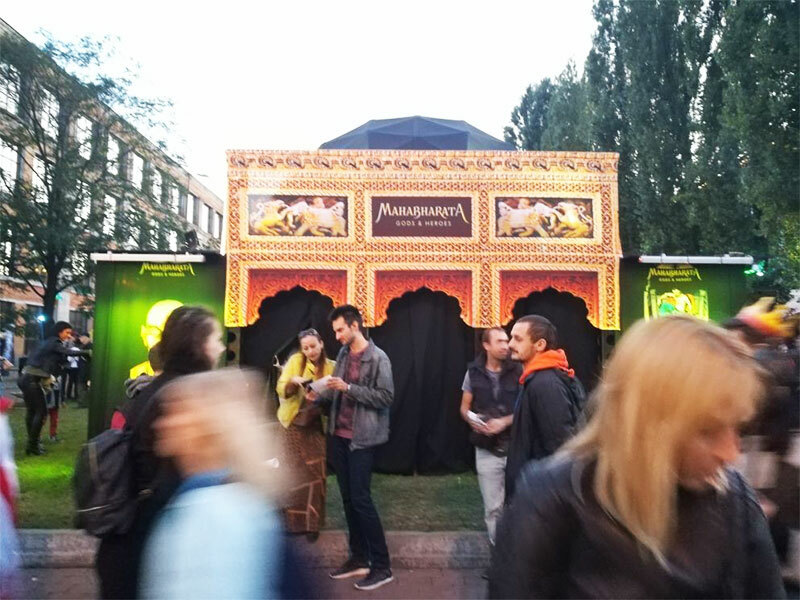 The exhibition space was packed with various installations and art objects, among which the Mahabharata stand really caught the eye. 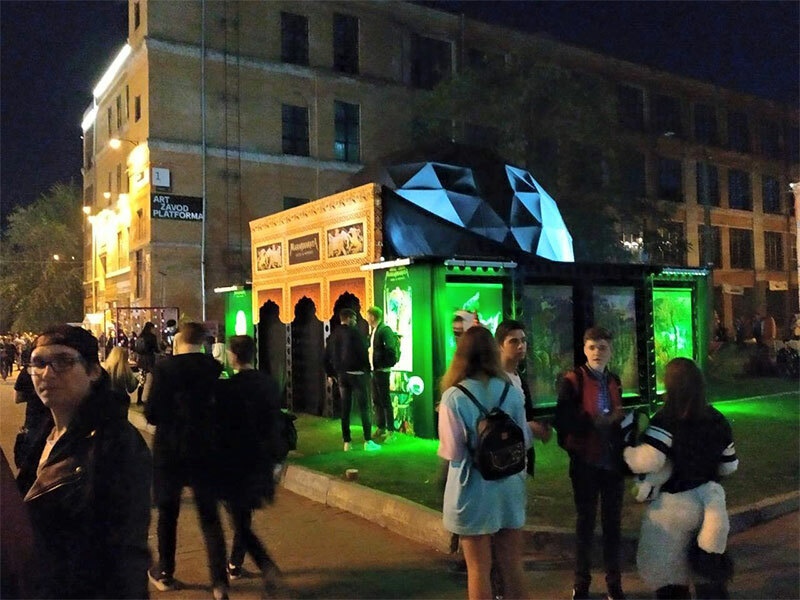 The stand was filled both inside and out with works by Igor Baranko, the man who produced most of the art for the app, and the exhibition was covered by a 5М dome, where Fulldome shows were projected. 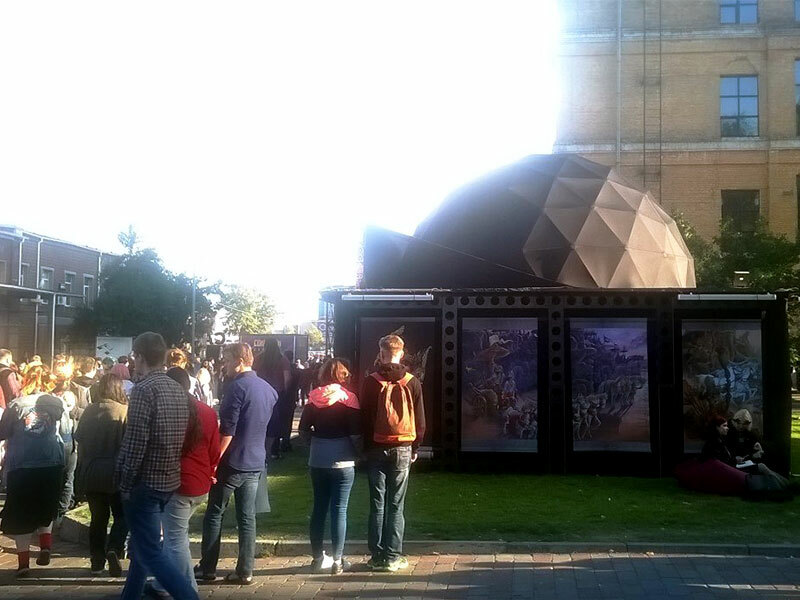 Our team put together the whole stand in just one day.